BECOMING A SAFE SPACE IS EASY. I vow not to allow Bullying, Discrimination or Violence to ANYONE in my workplace. Places that are good places to become a Safe Space are Town halls, Police and other Emergency services vehicles or buildings, Libraries, Religious Buildings, Food Trucks, Vender booths, Business and Offices. Just about any place can become a Safe Space. 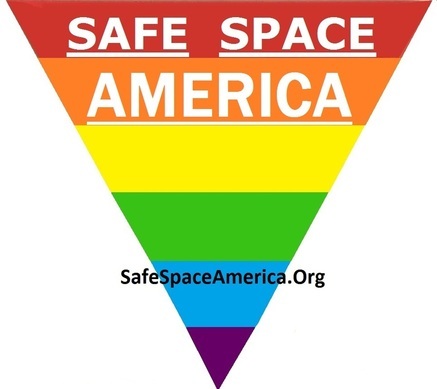 email safespaceamerica@gmail.com We will give you a shout out on our Facebook page. YOU ARE NOW PART OF AN AMAZING MOVEMENT SWEEPING THE USA TO CREATE PEACE.